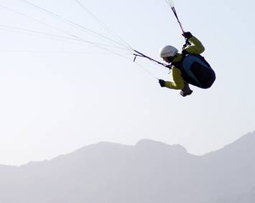 The SUCCESS 3 is a sport harness with a foam protector, intended for recreational and cross country pilots who prefer to fly without a speedbag. Developed using the latest 3D technology it benefits from the perfect shaping and stress analysis of its component parts. This has resulted in a more elegant outline, less wrinkling, and ultimately improved aerodynamics and a high level of comfort. The new SUCCESS 3 is notable for its maximal comfort. The use of ADVANCE’s own 3D CAD software means that the SUCCESS 3 components are perfectly shaped and correctly stressed for their functions. The resulting ergonomic shape of the harness, and especially the quality comfort foam at the back have significantly improved comfort. SUCCESS 3 aerodynamics have been improved: the redesigned foam protector provides a slimmer shape for the new comfort harness, without compromising protection. In fact the opposite is the case: the new four-chamber foam protector provides the best protection for takeoff and landing. 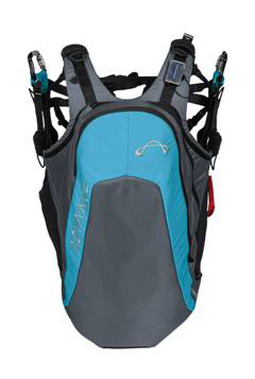 The SUCCESS 3 appeals with its straightforward and easy-to-see adjustments, and numerous useful details underscore the practical nature of this harness. The new-style reserve system also plays its part in simple handling: the reserve system is well protected from the outside, and it is almost impossible to have an unintended release!